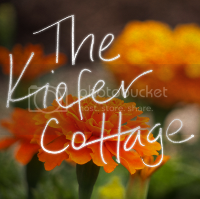 The Kiefer Cottage: Y'all, reassure me. First off, let me say that I'm disappointed so few people want a subscription to House Beautiful Magazine. I figure it's due to several reasons. 1) You already subscribe (yay!). 2) You think it's uppity (it's not! it's beautiful, just like the name says!). 3) You can't read formal English that well. 4) You only read car magazines. 5) You don't read magazines at all. 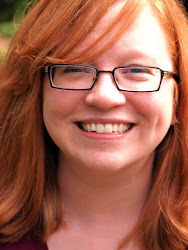 6) The only people who read this blog are related to me. To address #3, let me translate the giveaway into Text Speak. I had to outsource this job because I'm not fluent in how young people are communicating these days. o hai u guize! u shud totes ntr r contst! we r givin awy a sub 2 Hse BuTful! Now you understand better, no? So go enter! If you truly only read car magazines, I can almost understand that. I, too, love car magazines, especially Car and Driver because their slogan is "Intelligence. Independence. Irreverence." Those three words are what I aspire to every day. How could I not like the publication!? Anywho, this is a chance to broaden your horizons FOR FREE. Reading another type of magazine won't mean C&D will break up with you. For #5, I'm going to pretend that it just couldn't be that. I consume all sorts of information from various sources, so it's hard for me to fathom cutting out an entire genre. And if my family comprises my entire readership, shoo. What do I do about that??? Seriously y'all, go enter the giveaway. Right now, you've got great odds since only a few friends and my mother-in-law have entered, and since my MIL is disqualified for being related to me, you have a great chance of winning! I know I like winning, although the one blog contest I entered, they never sent the prize. I promise I will--I chose something I don't even have to go to the post office to ship, so that'll never be an excuse. Okay, now that I'm done browbeating you for not entering a contest with better odds than winning $.50 off dollar menu fries from McDonald's Monopoly games, I'll get to my real reason for writing today. I feel the need to explain why I keep the word "y'all" in my lexicon despite my relocation to the Paris of the Plains. I was born and raised in the South (Birmingham, Atlanta, and Memphis), so that means y'all and all of its variations are embedded in my DNA. But I also prefer efficient use of language, and y'all has it all, y'all. It's quick off the tongue and can be used to create double contractions, which not only sound awesome but also scare the pants off of unsuspecting Yankees. "We're gonna need all y'all over there to do the funky chicken. And grow out your mullets." "Did y'all bring y'all's swimsuits?" "Y'all've gotta try this pimento cheese!" Y'all sounds better than "Yous" and doesn't reduce women to men like "You guys". And it isn't offensive like "You people". So try it on for size. People might unfairly underestimate your intelligence, but then you'll blow 'em away with your smarts. Being underestimated is a good thing, y'all. At least that's what I say to myself in the mirror every morning. I didn't enter because judging by what's popular right now, a "beautiful" house is mostly about painting everything white. I am so into COLOR and white houses are not my thing. That's actually why I love the magazine--it's not a white or grey loving publication. I'm not above using "you people". Oh, and I don't think we're related y'all but I DO already get House Beautiful; it's a great magazine! That didn't make too much sense, but I understood it. sorry - born and raised in iowa... i twitch at 'missourah'! although sometimes i find y'all trying to creep in - particularly when i'm conversing with southern friends. if you've never heard it out of my mouth, that is because my brain stops it before it pops out!!!! Your poor brain. All that work to stop something so beautiful and natural. Peeing in my pants laughing! (Not literally). I'm in the deepest part of the South.... Sweat Bucket Florida, so I get the ya'll thing (and I like it) :). Off to enter the give-away. House Beautiful rocks! (That's right, I said "rocks" I felt it was fitting with the mullet photo and all).